Kitchens are a gathering place in the home as much as a place for food preparation. As a daily destination, kitchens are often a focal point of home remodeling. ProSource® of Little Rock is the source for everything needed to enhance the room’s design, including cabinets, hardware, counters, faucets and sinks. 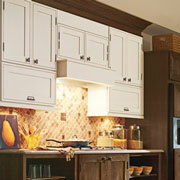 Kitchen cabinets do so much more than just provide necessary storage space. They help to unify the visual aesthetics of the kitchen by conforming with or contrasting to the colors and materials in the room. Choose from a wealth of finishes, materials, size and shapes that will help define the kitchen’s personality. As important as the cabinets themselves, the hardware that’s used can add to the visual appeal. 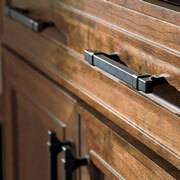 The right pulls, knobs, or hooks can make any kitchen cabinet stand out. 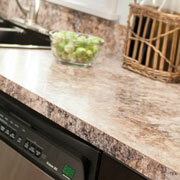 Kitchen countertops serve a dual role of functionality and statement piece. Made from recycled and blended materials, as well as classics like granite and quartz, a new kitchen countertop makes it easier to prepare and dine on meals, and is nice to look at too. 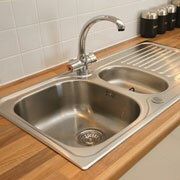 The kitchen sink is one of the most used spaces in the room. Make the most of this fixture with a beautiful new kitchen sink made from materials like steel and cast iron, and available in single, double, and triple basin options. 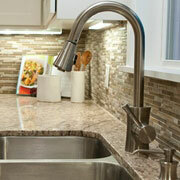 While the faucet is an enduring presence in any kitchen, that doesn’t mean that their design is dated. Modern faucets are offered in cutting-edge styles and offer features that can be tailored to the kitchen needs, such as pot-filling and beverage filling options, in addition to the traditional spout.